We offer hairdressing services for men, women and children by fully qualified stylists at our hair salon in Lordswood, Chatham. 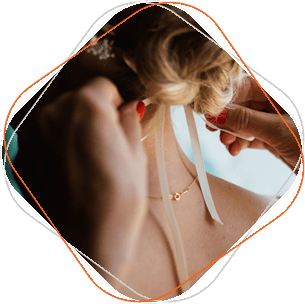 Offering bridal hair packages to give you the perfect bridal hairstyle which will stay looking good throughout your ceremony and reception. Whether you simply need a quick trim or you’re looking for a whole new look, our qualified hair stylists will create the perfect hairstyle for you. We offer hairdressing services for men, women, bridal and children at our hair salon in Lordswood, Chatham. We’ve been established since 2003. You’ll love the warm and friendly atmosphere here at L.K. Hair & Beauty, and you’ll always be made to feel right at home. All our hair and beauty services are carried out by professional, fully qualified staff. Call us on 01634 865536 for an appointment.